Seven years ago one July morning, a dozen gun-wielding FBI agents burst through the front door of his home in Fort Meade, MD. Awkward situation – he was coming out of the shower at the time. The Agents Were There to Keep Him Quiet. The NSA is overseen by Congress, the courts and other government departments. It’s also supposed to be watched from the inside by its own workers. 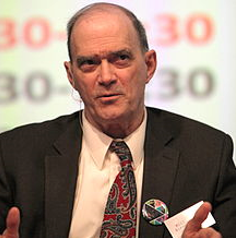 But over the past few years, whistleblowers like Binney have had a rough time. Those whistleblowers who tried – unsuccessfully – to work within the system say Edward Snowden, the former NSA contractor who shared top-secret documents with reporters, learned from their unfortunate experiences. For Mr. Binney, his decision to quit the NSA and take on the role of whistleblower began a few weeks after the Sept. 11, 2001 attacks. He says he discovered the NSA had begun to use software he’d created to dig up information on Americans – all without a court order. He quit when he learned the agency was using software he created for domestic surveillance. 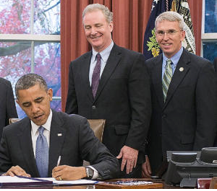 He didn’t want any part of it – the agency using a program he built to do domestic spying. He took is as treason, overthrowing the Constitution. Mr. Binney says he and two other NSA colleagues, who also quit, tried sounding the alarm with congressional committees. But because they did not have documents to prove their charges, nobody believed them. Snowden, Binney says, did not repeat that mistake. Binney says his life has never been the same. That’s why Edward Snowden has had such an impact. Others whistleblowers have tried to work within the system. Computer expert Thomas Drake thought blowing the whistle on what he considered unconstitutional NSA programs would shake things up. Instead, it was he who was shaken up. In Thomas Drake’s case he was the only person who was investigated, secretly charged, then indicted and facing 35 years in prison. Drake had taken his case to the NSA and to Congress. After concluding his complaints were going nowhere, he showed unclassified information from the NSA to a newspaper reporter. For doing that he was charged with violating the Espionage Act. His home was raided by the FBI as well, four months after Binney’s. The case against Thomas Drake fell apart just days before he was to go to trial in 2011. He got off with a misdemeanour plea bargain and today you can find him working at an Apple store. Many believe that Edward Snowden saw what happened to Binney and Drake, and thought there was no other way to come forward. Improvements have certainly been made over the years, but we still have a lot to go. For businesses, Whistleblower Security is committed to promoting a culture of integrity, collaboration and transparency for all our employees and clients. With a 24/7/365 whistleblower hotline and whistleblower program, employees can be assured that all of their ethical concerns will be heard and addressed.